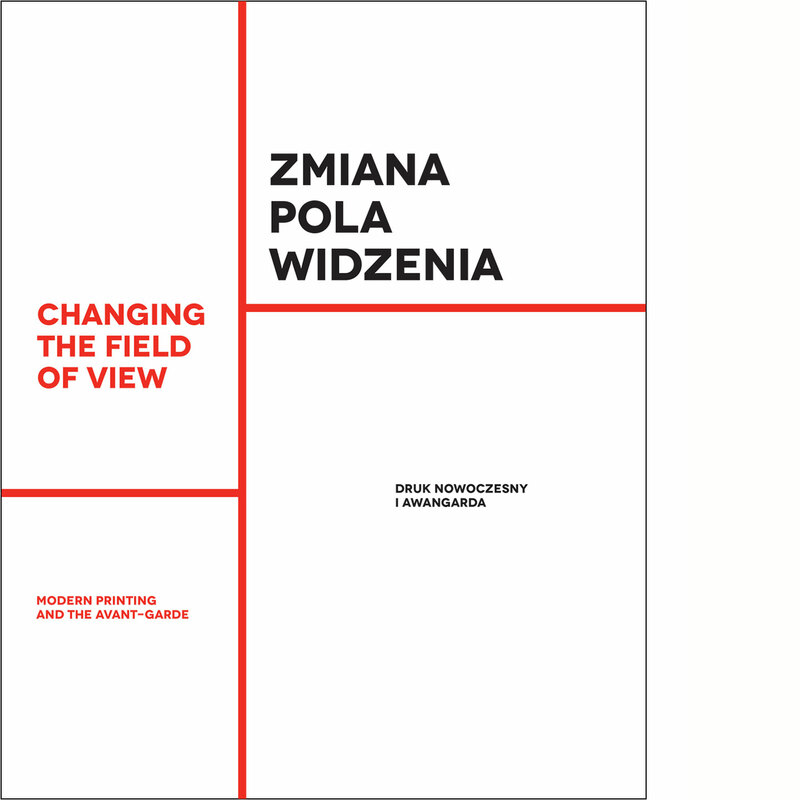 Changing the Field of View is a richly illustrated Polish-English publication devoted to avant-garde artists whose activities resulted in a revolution in the field of graphic design and in modernising print. Changing the Field of View presents how ideas were born and merged and how the solutions proposed by the avant-garde were being popularised and taken over by mainstream graphic art. of the day: advertising, book and magazine design and propaganda posters, among others. The essays by Paulina Kurc-Maj, Stefan Wegner, Janusz Zagodzki, Gerd Fleischmann, Juan Manuel Bonet and Monika Poliwka discuss the revolutionary role of the avant-garde in approaching design. Next to contemporary texts, the catalogue will contain reprints of selected source materials, including texts by such artists as Mieczysław Szczuka and Laszlo Moholy-Nagy, as well as the previously unpublished correspondence between Jan Tschichold (The creator of New Typography) and Władysław Strzemiński. The catalogue part contains reproductions of prints from over a dozen of European collections (of both institutions and private collectors), designed by such artists as: Hans Arp, Herbert Bayer, Henryk Berlewi, Janusz Maria Brzeski, Cassandre, Tytus Czyżewski, Robert Delaunay, Sonia Delaunay, Fortunato Depero, Theo Van Doesburg, John Heartfield, Karol Hiller, Fernand Léger, El Lissitzky, Filippo Tommaso Marinetti, László Moholy-Nagy, Piet Mondrian, Bruno Munari, Otto Neurath, Kazimierz Podsadecki, Enrico Prampolini, Xanti Schawinsky, Joost Schmidt, Kurt Schwitters, Henryk Stażewski, Władysław Strzemiński, Ladislav Sutnar, Samuel Szczekacz, Mieczysław Szczuka, Karel Teige, Jan Tschichold and Teresa Żarnower. Publication accompaning the exhibition: "Changing the Field of View. Modern Printing and the Avant-Garde" in Muzeum Sztuki ms² Łódź in 2014.